Educators, lab scientists, and researchers from universities around the United States came together to run a 4-hour workshop on incorporating science outreach for career scientists. The workshop was organized by Cathy Vrentras, Ph.D of Iowa USDA, and included Julia Massimelli, Ph.D of University of California at Irvine, Veronica Segarra, Ph.D of High Point University, Tom McKeon, MPH(c) of CEET, University of Pennsylvania, Liz Pyshnik, MS(c) of Rutgers University, Rebekah Taylor, Ph.D of Frostburg State University and Joan Cunnick, Ph.D of Iowa State University. The outreach workshop was held at the American Society of Microbiology (ASM) Microbe conference in New Orleans on June 1st, 2017. 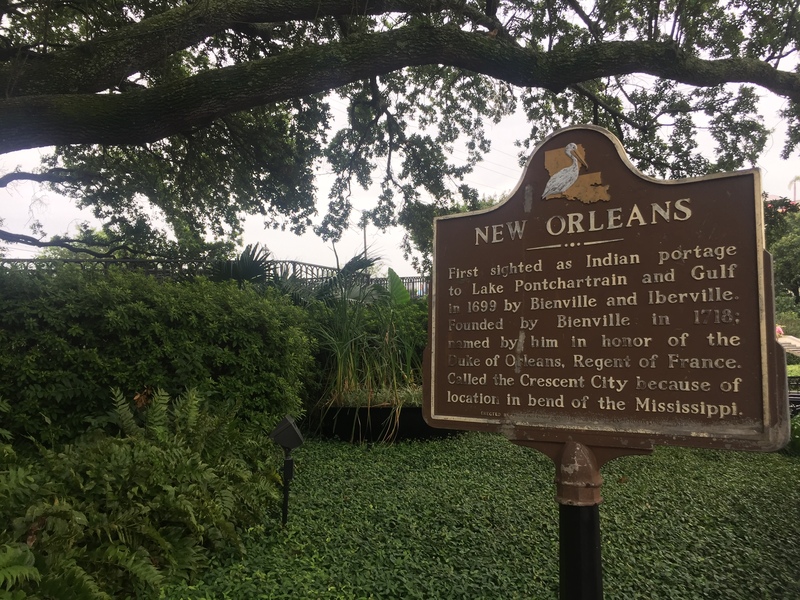 Amidst a rainy week in New Orleans, the conference – held at the Ernest Morial Convention Center near the historic French Quarter –showcased worldwide, innovative microbial sciences, providing a forum for professionals to come together and macroscopically explore the full spectrum of microbiology. Dr. Cathy Vrentras opened the workshop with personal examples of how she has incorporated outreach into her career in science, acknowledging that communicating microbiology to the general population continues to be a difficult skill for many professionals. The public health dangers that microbes can pose may seem obvious to scientists studying bacterial cultures under a lens, but these vulnerabilities are not always commonly taught to the laymen – especially among the under-educated members of the public such as in low income countries; Microbial knowledge about infectious diseases is still having to battle habits and reasoning of folklore. Science and health literacy itself is embedded in a culture of inquiry-based education, and follows parameters around which to “make sense”. This education is not always available or attainable to many people who need it most. This workshop shared and reflected on evidence-based teaching techniques, resources, and benefits. Workshop attendees came with an interest to incorporate public outreach in their careers so that their research and knowledge can be disseminated in a productive and egalitarian manner. Their experiences ranged from wanting to effectively communicate microbiology principles to firemen to creating hands-on workshops that demonstrate genetics to young women in underserved communities. The workshop began with a game about infectious disease, led by Dr. Joan Cunnik. Every participant was given a test tube with distilled water. One unfortunate test tube was spiked with Potassium Hydroxide, which symbolized an invisible pathogen. Participants walked around the room, greeting at least three others, exchanging test-tube fluids in the process. A chemical indicator was then placed into each test tube, turningthe contents of the spiked test tubes pink, revealing who had become infected and who had managed to remain disease free. The game’s message became clear -- although microbes are invisible, they can still be transmitted from person to person. The fun-spirited nature of the game helped break the ice (itself a cultural misnomer) and set the tone for the workshop---teaching through interactive-based lessons. The workshop was stylized with a mix of presentations and interactive lessons. The authors of this blog post, Tom McKeon and Liz Pyshnik, presented on behalf of the Global Water Alliance to share environmental health case studies, resources, and tips on developing partnerships. We shared examples of environmental sources of water contamination affecting communities that lacked proper knowledge about water pathogens. We communicated the importance of getting to know our own professional “lenses” before contacting local stakeholders in order to understand their community’s culture and knowledge. Once professionals know who they are working with and understand special customs and knowledge, they can better tailor their outreach strategies and leverage support from existing resources. A “one size fits all” approach does not work in health education! Additionally, we highlighted the difficulties of bridging the invisible world of microbes into teachable moments for the eyes of those who have never seen it. We spoke about affordable and accessible tools such as the Foldscope, a portable microscope used in the field for education and research, as well as pointing out naturally forming biofilms growing anywhere from dental plaque to outfall pipes. Driving home the topic of affordable microscopes, Dr. Rebekah Taylor shared her homemade and inexpensive microscopes, built out of plexiglass and acrylic lenses, which work using smart phone cameras as the eyepiece. They are user friendly and provide a surprisingly clear picture of cellular details right on your phone. They cost about ten dollars to fabricate. Dr. Veronica Segarra spoke of the importance of multidisciplinary approaches. Her past outreach work succeeded in teaching microbiology topics to high school students by using artwork as a learning medium. The incorporation of art into STEM fields is now beginning to be known as STEAM, providing new momentum to STEM. Dr. Julia Massimelli concluded the workshop with a breakout session introducing a set of questions to consider when incorporating outreach into an existing science career. The reflective conversations brought about new ideas for attendees, and many stayed past the allotted session time to continue discussing how they plan to incorporate outreach into their careers. TAKE HOME LESSON: Outreach is a topic that can be easily overlooked from the ivory towers of scientific research, but the ability for clear and engaging communication to literally save lives is apparent from the many case studies discussed. Expanding the demographic of scientists is also an important effect of outreach; having a diverse range of thought processes when solving a problem can lead to unexpected and beneficial solutions. Global Water Alliance members and everyone involved in the workshop walked away with new perspectives on reaching into the lived world of the many communities that form our humanity. For an abbreviated version of the workshop, check out the presentations linked below. No matter what kind of work you do, communicating about it beyond your peers is hard and can be darn complex. The workshop indicated how there is always room for improvement.